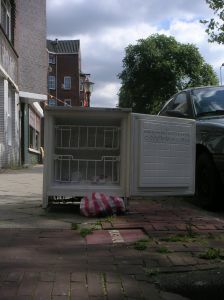 How many times have you seen a refrigerator or stove on the curb? That means either the person who lives near that curb dragged the appliance down there hoping someone will take care of it or it means someone put it in the truck and brought it to dump there. Either way, it’s a very selfish way to get rid of a big appliance because it essentially makes it somebody else’s problem. Even if you feel the urge to report that kind of dumping it still takes up time for you to find the right city agency. Hopefully, when it comes to big appliance recycling you’ll handle at the right way and that would be to hire Junk King Indianapolis from the start. You might be able to move your stove or refrigerator around your kitchen floor by a couple of feet but it becomes a bigger challenge to get it out the front door. Junk King Indianapolis will provide the crew that can rise to that challenge. These teams have a lot of experience moving bulky appliances. They’ll make sure your floors and walls aren’t scuffed up. Once loaded onto the truck, you could send the crew on the way but why not put them to more use? There’s probably a lot more stuff you get rid of in your house other than the big appliance. What about all the clutter in your garage? You need to hang onto things like sporting equipment the people don’t use, computers that have been replaced, auto parts that are never make it back inside the car and all the other rubbish? That can also be loaded up onto the back of the truck on the same session. Everything the Junk King crew collects from you might end up being repurposed either as recycled material or as a charity donation. Junk King wants to avoid going to the landfill at all cost. Sometimes that means they might make several drop-offs at various facilities but they would want it any other way. All of this is included in the flat fee that you’ll pay. That fee will be based on how your junk will fill up the back of the truck. It won’t be based on weight. That’s the fairest approach to this type of work. If you want to take care big appliance recycling and junk hauling without any hassle, then you want to hire Junk King Indianapolis. This entry was posted in Indianapolis Junk Removal and tagged big appliance recycling, Junk King, junk removal on October 22, 2017 by Junk King. Last updated October 22, 2017 .